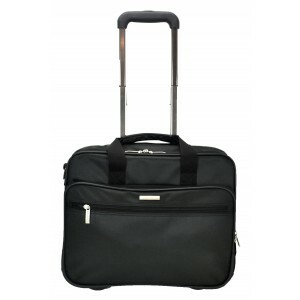 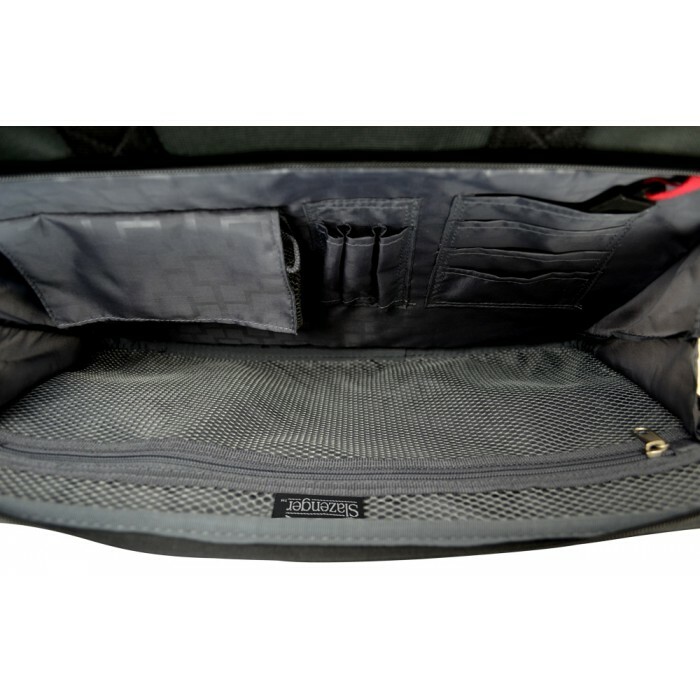 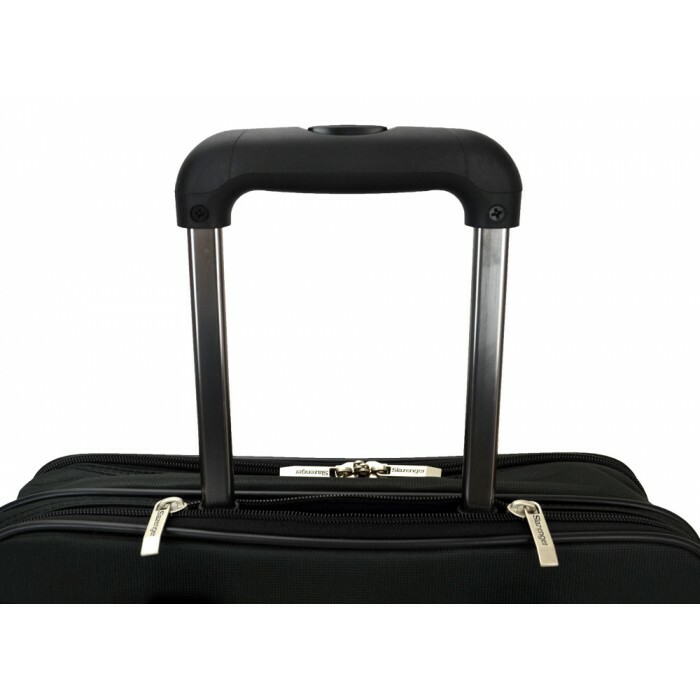 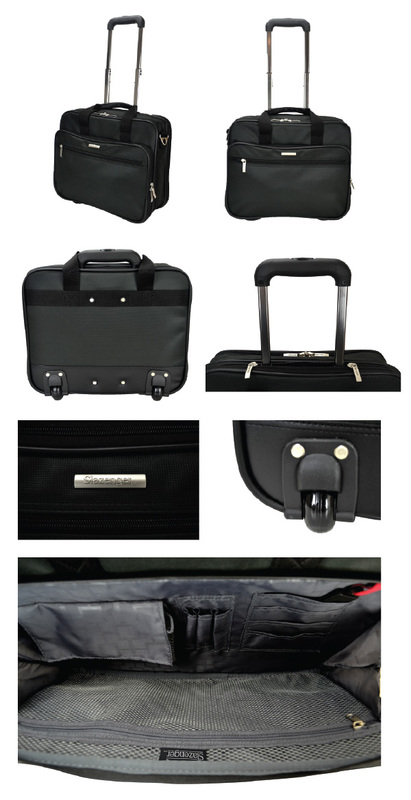 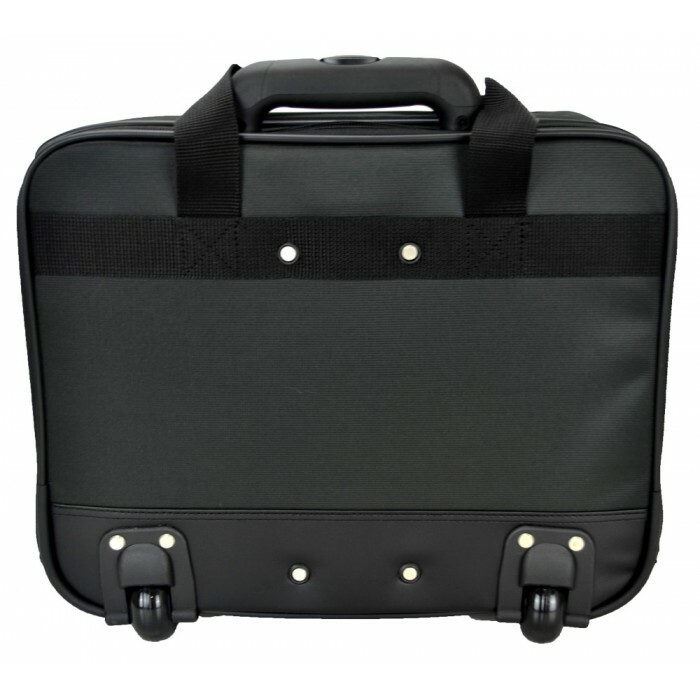 Stay formal and elegant with this Slazenger SZ1100 pilot case laptop bag with trolley. 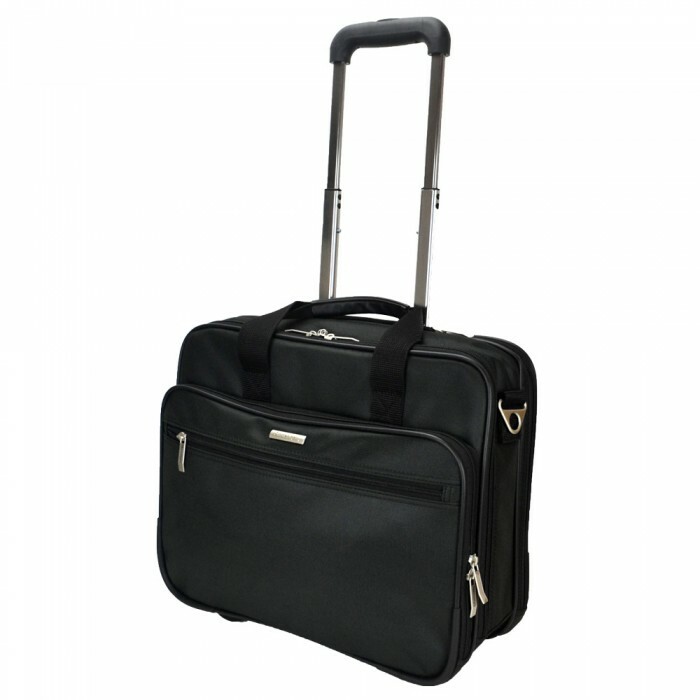 Made of durable nylon fabric, features easy-access clean-looking organisers to store small gears and belongings in the front compartment. Includes telescoping trolley handle and in-line skate wheels for improved mobility. 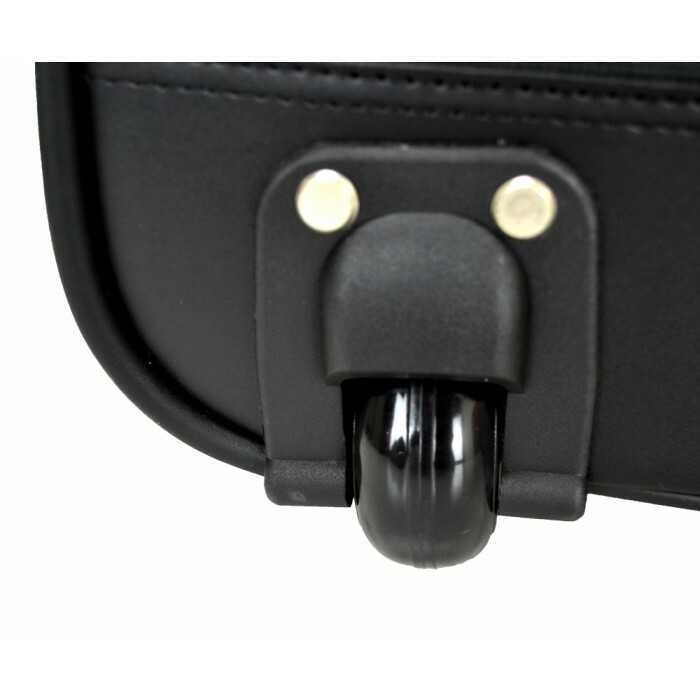 With additional carrying option when it is equipped with an adjustable and detachable shoulder strap. 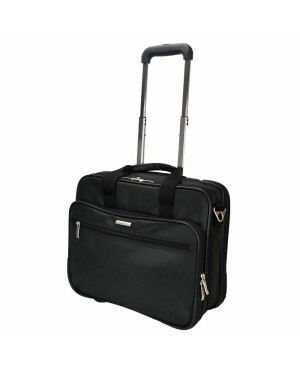 With roomy lined interior to store your laptop and documents.